No more hassle managing multiple software providers. Virtuagym offers everything you need in an all-in-one cloud-based solution. 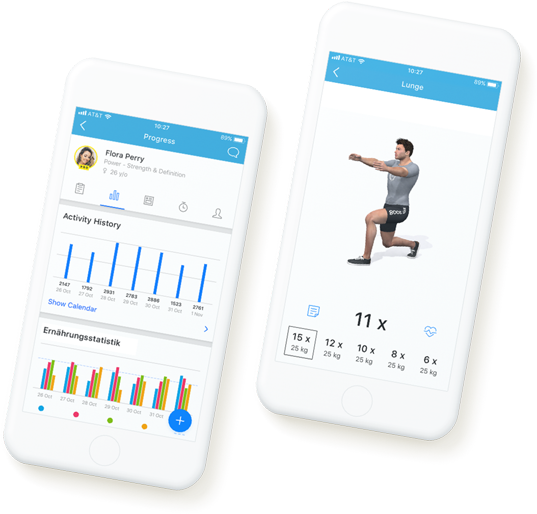 Our member management solution is seamlessly integrated with our modules for scheduling, workouts, nutrition coaching and our mobile apps. You choose what you need, and we'll provide you with the tools to streamline your fitness business. Virtuagym's membership management software is fully adjustable to your business needs. You're able to create different memberships, day passes or multi-visit passes, use our pay-as-you-go credit system, and handle your payments with various common payment methods. And with Virtuagym's additional modules for access control, online signup and point of sale, you'll have everything you need to grow your business hassle-free. Every superhero needs a sidekick. Let Virtuagym be yours. We’ll help you speed up your administrative processes, so you’ll have more time to focus on what’s truly important: helping your clients and growing your business. The core of Virtuagym’s membership management is our flexible membership system. From off-peak or weekend memberships to 24/7 access, you’ll be able to customize the options to fit your needs. Attract new members via your website and sell memberships directly online thanks to the integration with Virtuagym’s webshop. The integrated pay-as-you-go credit system can be used to create 10-visit passes, give members limited access to classes, or upsell additional services such as tanning beds. The sky is the limit. Knowing is half the battle. Our retention dashboard enables you to track your membership performance with clear overviews of acquisition, retention, expected customer lifetime, and more. Keep track facility use at all times. Virtuagym supports integrations with turnstile systems, RFID, barcode and magnetic strip scanners, and fingerprint scanners. The power of Virtuagym lies in the integration with other modules. You set up the options at the start, and Virtuagym handles the entire management process from assigning credits to delivering the invoices.